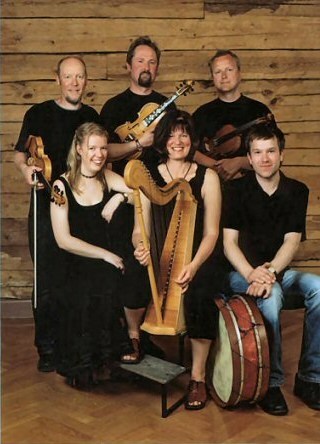 The folk music group Sågskära was founded in 1981. The name Sågskära comes from an old nursery rhyme from Linneryd in Småland, which Marie Länne-Persson, one of the members of the group, learnt as a child. Sågskära take most of their repertoire from Småland. It has often been learnt in "the traditional way" by word of mouth directly from older singers and musicians. The songs have become a hallmark of the group's music, but at the same time three of the members of the group - Marie, Toste and Magnus - have developed their own distinctive repertoire of dance tunes from the south of Sweden. The members of Sågskära have changed a bit during the years, but the original aim still remains - to play folk music from the south of Sweden in a playful and individual way!